Auburn, Ala. (EETV) -- Controversy and heartbreak. Two words that fans do not want to be associated with. The memory of Kyle Guy hitting three clutch free throws in a row with 0.6 seconds left to eliminate Auburn from its first ever final four will live in Auburn fans’ heads for years to come. However, read over the previous sentence again. Minneapolis, MN (EETV)- “And Auburn is heading to the championship game!” Remember when that happened for Auburn basketball? Yea, neither do I. That’s because it has never happened before nor has the thought of even making it to the final four has ever popped into your head. 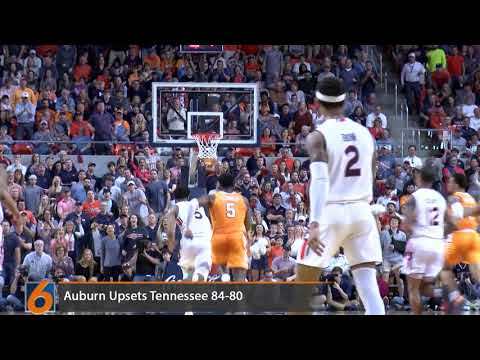 Athens, Ga. (EETV)- The Auburn Tigers (19-9, 8-7 Conf) barely escaped Athens with a win Wednesday night, getting by the Georgia Bulldogs (10-18, 1-14 Conf) 78-75. It was the same old story with the Tigers, playing down to their inferior competition. A win is a win, especially this late in the season, but fans will have more questions than answers after this performance. AUBURN, Ala. (EETV)- The Auburn Tigers softball team won in convincing fashion against North Dakota State 4-1. It was the defense of the Tigers that stood out the most with pitcher Makayla Martin striking out seven batters. AUBURN, Ala. (EETV)- No. 15 Auburn struck 17 batters in their convincing 10-1 win over Alabama A&M Tuesday night. This was the most strikeouts an Auburn team has had since striking out 21 batters against Charleston Southern in 2009. 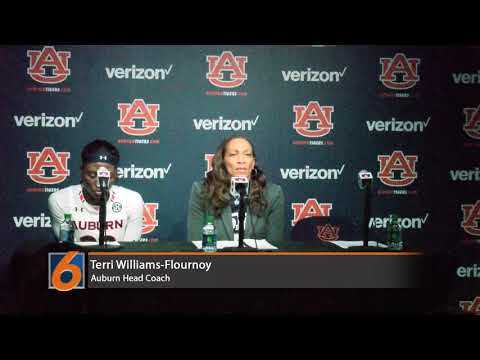 Auburn, AL - Auburn women's basketball looked to get their first win at Knoxville in over 30 years. The Tigers will have to wait another year to get that opportunity as the Lady Vols defeated Auburn 73-62. Tennessee completed the season sweep of Auburn after beating them earlier in the year at Auburn's home arena. Auburn (18-7, 6-6 Conf) outplayed Tennessee (16-8, 5-6 Conf) in the first half, being up by five at halftime and as many as seven in the second quarter. That all changed in the second half as the Vols went on a 16-5 run to open the third quarter to take a 43-37 lead and never looked back, outscoring Auburn 46-30 in the second half. The Auburn Tigers' women's basketball team is now (0-5) against ranked opponents after falling to No. 19 Kentucky 78-68. 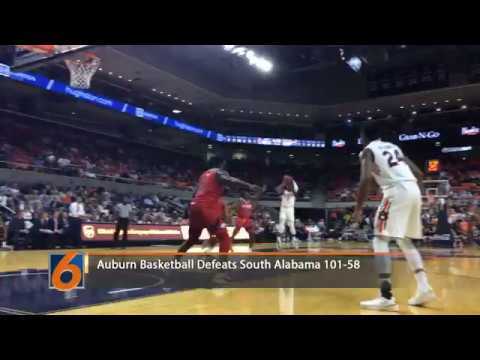 3-point shooting could not have gotten any worse for Auburn, going 2-11 from behind the arc. The Texas A&M Aggies were too much for the Auburn Tigers tonight as the Aggies win a close fought battle 69-67. Auburn had a 30-22 lead at the half, but behind Chennedy Carter's 28 points, Texas A&M stormed back to take an 11-point lead in the fourth-quarter. Auburn would not go down without a fight though, scraping their way back and tying it up at 67 with a minute to go. Carter hit a running lay-up in the final minute to the Aggies up for good. Rebounding was a key factor in this game and ultimately contributed to Texas A&M winning the game, out rebounding Auburn 39-30. More offensive rebounds means more second chances and the Aggies made the most of it, putting up 13 second chance points compared to Auburn's nine. Texas A&M's Chennedy Carter led all scorers with 28 and Janiah McKay was the leading scorer for the Tigers with 17 points. Auburn plays its second straight ranked opponent Sunday when the Tigers travel to Columbia, Missouri, to face-off against No. 25 Missouri. Tip-ff is at 2 p.m. CT at Mizzou Arena. 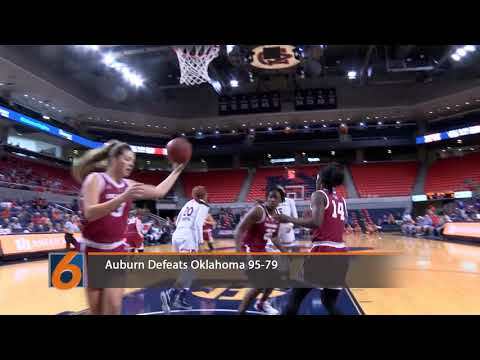 The Auburn Tigers defeated the Oklahoma Sooners 95-79 while setting a school record in three pointers made with 13. The Sooners had a few spurts to keep things close early, but Auburn's relentless barrage of threes stood too much. Emari Jones and Robyn Benton led the Tigers with 4 threes each and Unique Thompson had her 12th career double-double with 14 points and 17 rebounds. Auburn hits the road again this week, traveling to Philadelphia to face St. Joseph's this Thursday night. Tip-off is at 6 p.m. at Michael J. Hagan Arena. 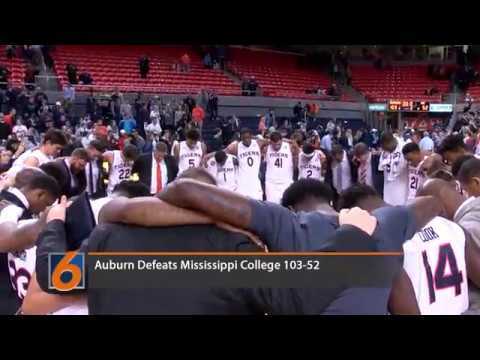 Auburn, Alabama (EETV)- The Auburn Tigers showcased their offensive talents at home by defeating Mississippi College 103-52. The game was never in doubt, but the Choctaws of Mississippi came within 11 points with 17:37 left in the second half. The Tigers shut down any talk of an upset outscoring Mississippi College 52-12 after the 11 point scare. Auburn will now look ahead to the Maui Invitational as they face off against Xavier in the first round. The game is scheduled for Nov. 19 and tip-off is at 1:30 p.m.
Birmingham, Ala (EETV) - Auburn guards Bryce Brown and Jared Harper were listed on the All-SEC preseason second team. The Tigers were the only team to have both members of their backcourt named to the All-SEC squad. To add to their preseason honors, Brown is listed on the 2019 Jerry West Shooting Guard of the Year Award Watch List, while Harper was named to the 2019 Bob Cousy Point Guard of the Year Award Watch List. After leading Auburn to share of the Conference title, the school's third title, both players were named to the All-SEC list with Brown being first team and being second team. The Tigers are projected to finish third in the SEC this year which is their highest projection since the 1999-2000 season. Auburn tips off the 2019 season November 6 vs South Alabama at 8 p.m.